Garnier is such a brand which products never attracts me. I can not name a single product from this brand that I may liked in the past. I was at Watsons, Bkk during my Thailand trip few months back and they had testers for every Garnier products. Only one item from Garnier I liked after trying out everything and it's the GARNIER Aqua Defense NON-STOP HYDRATING ESSENCE. Garnier says, new upgraded Aqua Defense non-stop intensive hydrating essence, enriched with Mountain Spring Water-helps enhance skin's natural water retention ability; anti-oxidant white tea and green tea extract-helps protect skin from external aggressions. Its light gel texture leaves skin refreshed, hydrated with pleasant fresh sensation all day long, giving a smooth and soft complexion. The Product comes in a glass jar and has a stopper inside it. Glass jars are nice when you are using it at home but for traveling it maybe too heavy for few. In the jar it looks light green/aqua blue color but applies clear on skin. Has a very beautiful refreshing smell and gives a little cooling effect while applying. 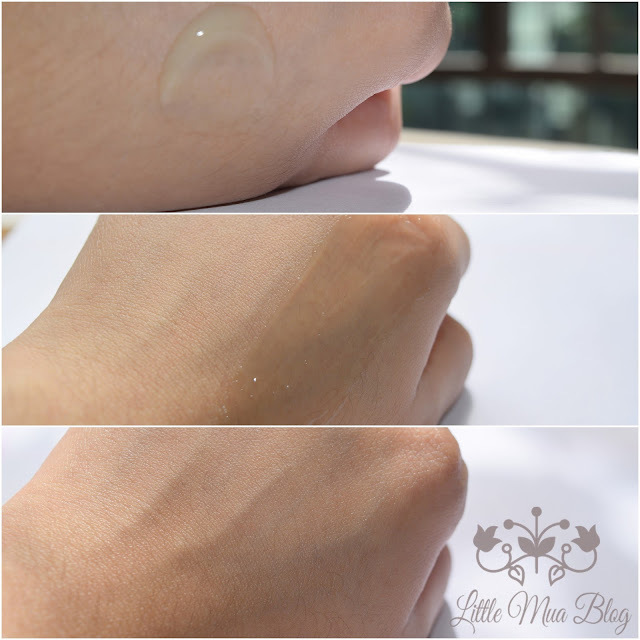 The product is formulated in watery gel like texture. It's very light and not greasy or sticky at all. Absorbs quickly into skin and leaves a matte look. While applying you will feel a thin layer of water sitting on your skin. It's super hydrating and didn't brought me any breakouts or enhance the oil on the face during the middle of the day. It's been around two and a half months and I am really loving this!! I have a oily to combination type of skin and I like this for my day time use. For night time I like using moisturizers with thick consistency or oils because I need some extra moisture for my dry patches. But this would do fine if anyone with super oily skin wants to use at night time. Price of this I don't really remember. I don't think you can find this at local Bangladeshi stores. But you can always find this product on amazon. Check it from HERE. Which Garnier products you have liked so far? Would love to know your recommendation. Welcome to my little room.I am Toma.I'm passionate about Makeup, Beauty, Fashion. This blog is a place where I want to share all things I love. Keep connected.